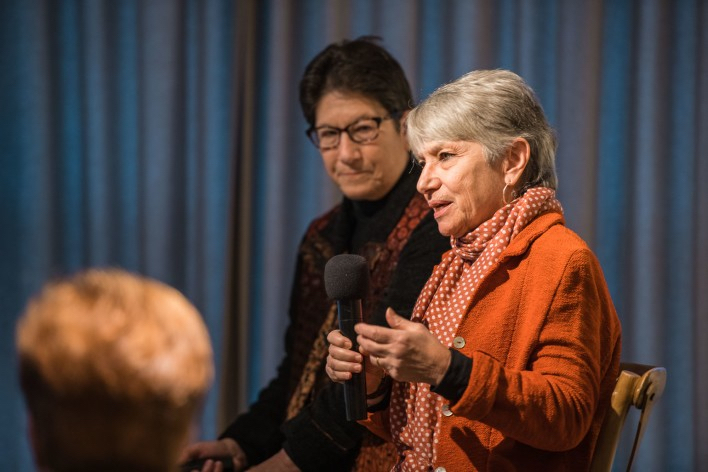 Jasper Johns scholars Roberta Bernstein and Kate Ganz spoke in a dynamic conversation, co-hosted by Sotheby’s International Realty and the Wildenstein Plattner Institute. Bernstein is the author and director of the Jasper Johns Catalogue Raisonné of Painting and Sculpture and co-curator of the Royal Academy’s current exhibition Jasper Johns: ‘Something Resembling Truth,’ and Ganz is the senior editor and primary object examiner for the catalogue raisonné of the artist’s drawings (seven of which from the Diamonstein-Spielvogel Collection will be offered at Sotheby’s on 16 November. As catalogue raisonné writers, Bernstein and Ganz are “unsung heroes of art history,” said Sotheby’s Chairman Lisa Dennison, who moderated the conversation and also discussed Johns’s unique process, innovation with materials and non-hierarchal approach to employing a variety of mediums. Click ahead for images from the insightful discussion.